Meg Wolitzer’s new young adult novel examines The Bell Jar through fresh eyes. Author Sylvia Plath, whose anxieties resonate today. In the belly of the high school where I work is the book room. It is dusty and cluttered, a catch-all for the many shipments the school receives. Lining the walls, stacked to the ceiling, are textbooks, workbooks, and novels. I’m an English teacher, so it’s the novels that call to me. The books are old, with broken spines and taped covers. One that stands out is The Bell Jar. These copies of Sylvia Plath’s first and only novel have traveled in backpacks and bags, through fights with parents and questions about the future, through blossoming and broken relationships, through acceptances and rejections from colleges, from the early ’90s when they were purchased to today. I remember receiving one of these copies when I was a student at the same school. Though it has largely become part of the high school canon, it existed in stark opposition to many of its counterparts. Mental illness is discussed in frank and graphic terms, and for many students, it is a text that stays with them in some way—either through a connection to the character or their inability to understand her point of view. Plath’s Esther Greenwood is candid and vulnerable, and though it was written 50 years ago, its emotional core still rings true. 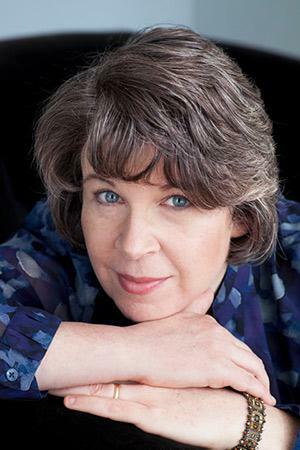 Meg Wolitzer has written about teenagers before (most recently in The Interestings) but in her new novel, Belzhar—her first marketed to young adults—she homes in on the teenage experience, crafting a magical realm that rises from the pages of The Bell Jar. Jam Gallahue is reeling from the death of her boyfriend, Reeve Maxfield, when she is sent to the Wooden Barn, a boarding school in rural Vermont for “’emotionally fragile, highly intelligent’ teenagers.” She finds herself enrolled in Special Topics in English, an exclusive and highly secretive class, even though she hadn’t applied for it. It is a semester-long study of a single author, and Jam along with her four classmates have been given old red leather journals by their teacher, Mrs. Quenell. They’re told to write in the journals twice a week and hand them in on the last day of class. This semester they will be studying the works of Sylvia Plath. Jam is reluctant to begin her journaling assignment, “Because there’s nothing I want to write. I’m hardly going to put down on paper the things I think about all the time, night and day. The person I think about. That’s only for me.” When Jam finally begins her assignment, she is shaken and confused, along with the other students in her class. But when she writes, “Reeve Maxfield was the person I’d been waiting to meet since I was born, but of course I didn’t know it,” she enters a trancelike state in which her past is restored and Reeve is alive again. When she comes to, five pages have been filled in her journal, but she has no memory of writing beyond the first sentence. Initially cautious, the other members of her class begin to reveal that they have also had the same experience: a few sentences written, and then a link back to their pasts before their lives became undone. This motley group begins to meet in secret, breaking the strict rules of their school. Together, they talk to one another and slowly share their reasons for being sent to the Wooden Barn. There is Casey, a rich girl from New York City who has used a wheelchair since an accident. Sierra, a young dancer trying to cope with the kidnapping of her younger brother. Marc, who’s discovered a secret that will unravel his family. And Griffin, a sullen and reticent boy from a nearby farm who holds his trauma close. Our narrator Jam is controlled in her telling, keeping a few select moments of her time with Reeve at the forefront of her mind, while maintaining an air of secrecy with the group. In between visits to “Belzhar,” their code for this shared experience through journaling, the students continue to read the works of Sylvia Plath. 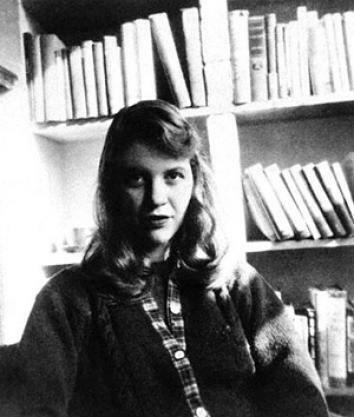 In The Bell Jar, Plath’s narrator Esther Greenwood describes her isolation: “[W]herever I sat—on the deck of a ship or at a street cafe in Paris or Bangkok—I would be sitting under the same glass bell jar, stewing in my own sour air.” When Mrs. Quenell asks the students in Special Topics if any of them is able to relate to The Bell Jar, Casey describes herself as “trapped in my own little bell jar on wheels.” Jam makes the connection as well, and soon the entire class is engrossed in the conversation. But what are they really talking about: the text or their own lives? As the semester continues, the students begin to realize the implication of their journals. While for now they are relishing their previous lives, stuck in a past that has yet to betray them, they will soon run out of pages. Though the conceit of “Belzhar” at times feels forced, this “red-leather-journal-cure”—writing through a trauma—is simple at its core. Eventually, and with time, these students will have to choose a future distinct from their past in “Belzhar,” where time is frozen. They are at the beginnings of their lives, and the option that Mrs. Quenell holds before them is facing the past and moving forward. While Sylvia Plath also kept incredibly detailed journals about her life, she is famous for obsessing over the red leather thesaurus that once belonged to her father. Unlike the journals of Belzhar, this was a fixed point, a static connection to a past that had flitted by. While the fate of Esther Greenwood is ambiguous, punctuated by Plath’s own suicide following the publication of The Bell Jar, Wolitzer’s take in Belzhar is more optimistic. The “emotionally fragile, highly intelligent teenagers” in Mrs. Quenell’s class discuss Plath’s suicide, with Marc questioning if the novel is appropriate for them to read and Jam wondering if her parents would be angry about the assignment. Ultimately, the students decide that they can handle The Bell Jar, and in working through the novel, they slowly begin to escape their own personal bell jars. Enough background is given in Belzhar so that a familiarity with The Bell Jar is not necessary to enjoy the novel. But for those who are familiar with the text, this is a chance to see it again through the fresh eyes of teenagers, and a fine companion piece for those who are unsure of how to manage the darkness. Belzhar by Meg Wolitzer. Penguin.